Baby Foot is the best thing EVER! Fast forward to 2014, I got to try derma peels designed for the feet. To me, they were life changing. While safe, the only con is that it can be pricey. 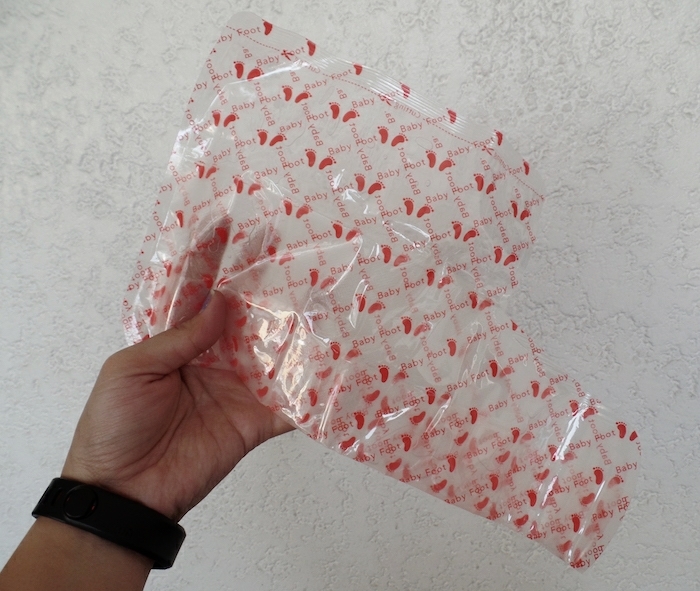 I saw and tried some DIY foot peel packs (the ones from Foot Appeal, Etude House, Nature Republic to name a few) and thought I'd share the best in my books. Baby Foot is the best thing that will EVER happen to your dry and perpetually callused feet. Trust me. 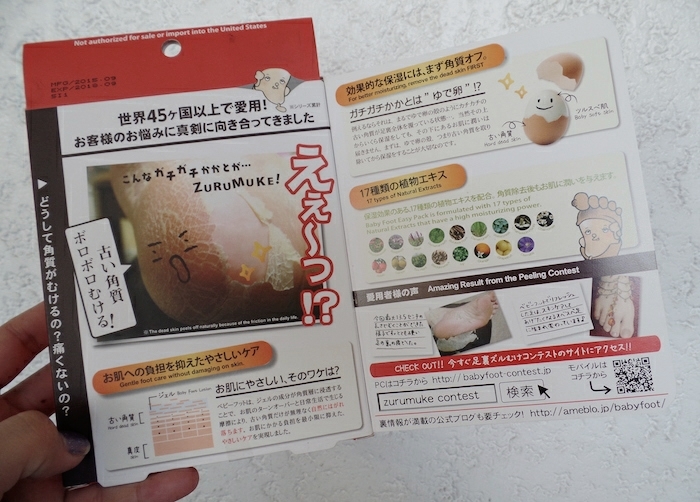 Unless you can read Japanese characters, the box doesn't say much how to use Baby Foot save for some photos of what to expect. Opening the box, you will get an instruction sheet and the plastic booties in a foil pack. Open the foil pack carefully as you might nick the plastic booties! Do not use Baby Foot when you have an open wound on the surface the plastic socks will cover. Don't overdo it because you don't have to. Peeling lasts for 2 weeks but the softness and smoothness lasts for 3 months (longest lasting among the brands I tried). Plan your outfit the next 2 weeks. You don't want to leave dried skin everywhere, do you? Don't wear nail polish before the peel. Baby Foot will cause it to melt (happened to me on day 2 of a fresh pedicure). Don't put lotion or oil on your feet while it's peeling. It will delay the peel. No matter how tempting it is, do not pick on the dry skin. You might peel skin that's not yet ready to come off. If you haven't tried Baby Foot just yet, you're lucky if you're based in the Philippines since Beauty Bar sells it for only Php 830 (medium or large). If you're in the US, you can get it from Target.com or BabyFoot.com for $25.